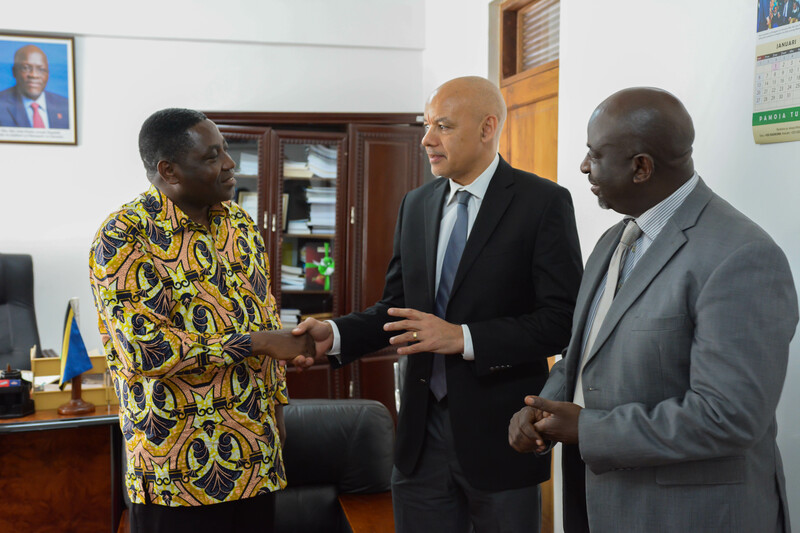 He was speaking in Dar es Salaam yesterday at the workshop organized by the CEO Roundtable of Tanzania in collaboration with International Union for Conservation of Nature (IUCN) and SAGCOT Centre Limited (SCL). According to Kirenga, there are lots of opportunities available in the sector that can be exploited, but the problem is access to information. “Most of the people including farmers fail to access reliable information to access better financial support to implement and support their activities,” he said. “It is evident that easily and reliable financing could help farmers to survive from the effects of climate change that continue to retard back their initiatives. The drought episodes of 2003, 2005 and 2009 resulted in the drying out of key water bodies with severe consequences for watersheds, wetlands and underground water and for agricultural activities in general. “We have met together to discuss and share experiences and opportunities available in the sector. The private sector is ready to enter into the sector, but the complex environment for access to financial loans retard the initiatives. The workshop brought together key stakeholders from government, private sector and development partners. It aims at raising awareness, share experiences and identify financing opportunities for scaling up CSA approaches in Tanzania and to identify opportunities for private sector investment in sustainable agriculture. “Climate change in Tanzania threatens agricultural production, consequently endangering food security, ecological stability, and sustainable development,” read the statement from CEO Roundtable released yesterday. The CEOrt and IUCN believe that finance is a necessary and strategic tool which plays a pivotal role in the development of a resilient economy in Tanzania. Coordinator for SUSTAIN Africa programme from IUCN Tanzania country office Michael Nkomu said climate change is causing a lot of effects to farmers in Tanzania that affects production operations. “For us to be able to move together we need to involve private sectors into a discussion on how to improve the finance sector for long-term and sustainable agriculture. “We need to govern the private sector to be able to provide a solution to climate-smart agriculture for a meaningful agriculture development in the country,” he explained. As part of this initiative, the IUCN, SAGCOT and the CEOrt are working with key actors of Tanzania’s financial sector on responsible finance principles with a vision of mainstreaming biodiversity conservation and sustainability within financial services in the country. the long term, the initiative is expected to facilitate the emergence of a financial sector which is responsive to biodiversity conservation.